Trinidad and Tobago are a twin-island country situated off Venezuela, bordering the Caribbean to the north and South America along the south. As the birthplace of sultry Caribbean rhythms, the country’s multiculturalism spans across its population of 1.3 million people. Popular tourist attractions include Maracas Bay and Buccoo Reef (on Tobago) and Caroni Bird Sanctuary (on Trinidad). Get ready for a holiday of sun, sea and adventure because cheap flights to Trinidad and Tobago are now available! The country’s hub airport is Piarco International Airport (POS), which is a 25-minute drive from the capital, Port of Spain. Pristine white, sandy beaches hug the coastline, some tucked into secluded bays fringed with turquoise waters. This is the ultimate place to unwind and relax amid the sheer beauty of the islands’ idyllic scenery. Popular beaches include Las Cuevas Bay, Maracas Bay, and Mayaro Beach. With a history spanning 7,000 years, the islands were originally inhabited by indigenous groups such as the Arawak and Suppoya, and later, Spanish, French, Dutch and British settlements. Some intriguing landmarks to explore include Stollmeyer’s Castle, Fort King George, and the Mount St. Benedict Monastery. These two Caribbean islands are famous for their abundance of indigenous wildlife, exotic birds and lush nature. 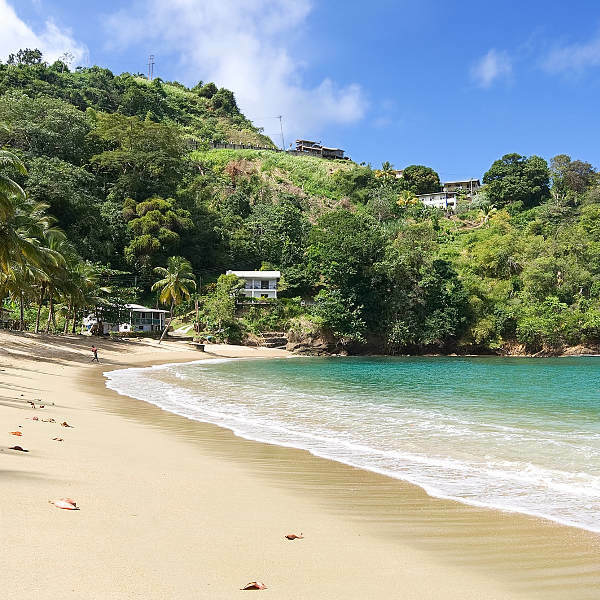 Discover bird sanctuaries on Little Tobago Island, hike through the protected canopies of Main Ridge Forest Reserve and see ocelots and anteaters in their natural habitat. Trinidad and Tobago’s consistent tropical temperatures make it a year-round destination. Visitors flock to the islands between December and April when the streets explode with Carnival and the balmy skies make for a perfect day out. If you’re staying in the Grande Riviere for turtle-laying season (March-September), hotels in the region charge higher rates; while Carnival week brings pricier accommodation in Port of Spain. The rainy season starts towards the end of May right through to November. Although the heavy showers can dampen outdoor activities, there are bursts of sunny days in September when cheap flights abound and you’ll have the resorts all to yourself! The birthplace of calypso, soca and steel pan music, Trinidad and Tobago is a multicultural hub of quintessential Caribbean charm. It is an underexplored destination, teeming with unspoiled beaches, splendid rainforests, waterfalls, coral reefs and an electrifying music scene. Aside from its idyllic coastlines, this twin-island republic also boasts incredible wildlife, such as ocelots, manatees and leatherback turtles; while the over 430 species of birdlife make for spectacular birdwatching. Tobago is favoured for its coral reefs, manta rays and shoals of colourful fish, best explored around Buccoo Reef and Nylon Pool. Tobago’s dramatic landscapes and excellent diving opportunities make it an ideal nature retreat from its busier, more developed sister island, Trinidad. Built in the 1780s, the well-preserved Fort King George offers stunning views over Scarborough Bay and the town of Tobago. Remnants of the original stone walls, lighthouse, prison and cannons can be viewed, along with collections of antique maps and artefacts, in the Tobago Museum. 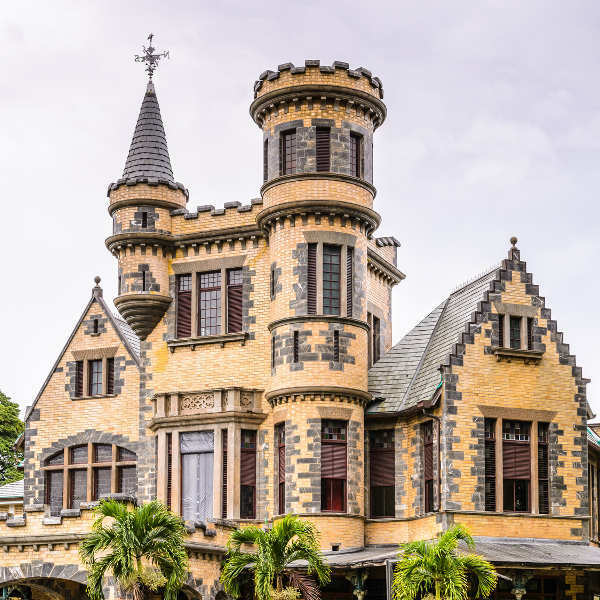 Trinidad’s vibrant capital, Port of Spain, hosts intriguing examples of colonial and Renaissance-style architecture, including Red House Parliament and the elegant mansions of Queen’s Park Savannah. The distinct red-roofed Mount St. Benedict Monastery is the oldest in the Caribbean and encompasses a farm, rehabilitation centre, religious buildings and a guesthouse. Bird lovers can visit the Asa Wright Nature Centre and Lodge, a dense forest area home to pygmy owls, hummingbirds and woodcreepers. 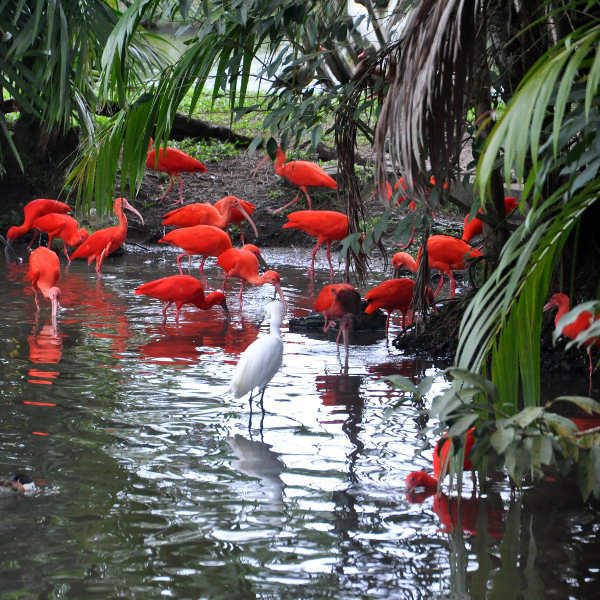 Similarly, the Caroni Bird Sanctuary is a haven of mangrove-lined rivers where scarlet ibises, herons, egrets, caimans and anteaters nestle. When you’re not soaking up the palm-fringed beaches of Maracas Bay or Pigeon Point, the islands boast exotic nightlife and music festivals. You’ll be spoilt for choice with the mouth-watering food creations, best washed down with the local rum and craft brews. Compare several airlines, and book your cheap flights to Trinidad and Tobago online at Travelstart! The islands have been known to experience fairly high levels of crime, but if you exercise common safety precautions, you should be absolutely fine. Some areas around Port of Spain should be avoided, particularly East Dry River, Laventille and Belmont. Be on the lookout for pick-pockets and bag-snatchers, especially around Carnival and Christmas time. If you get offered drugs, decline the sale and walk away, as drugs are illegal in this country and punishable by law. Healthcare is very limited, so be sure to bring enough prescription medication for the duration of your trip. Public clinics and hospitals are of a poor standard and private doctors can be quite expensive. Avoid drinking tap water and rather stick to bottled water. The islands are in an earthquake zone, and although earthquakes are extremely rare, keep abreast of weather forecasts. A comprehensive travel insurance policy to cover theft and medical expenses is always recommended.